Jeff Gaydash is dedicated to the advance of fine-art photographic printing. 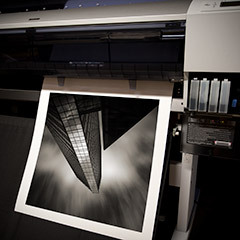 In addition to being a top resource for exhibition quality prints, Jeff is committed to educating other photographers who are interested in printing and exhibiting their own work. To back up this commitment, Jeff offers group and one-on-one workshops, consultation services and mentoring programs. Contact us for more information. Don't forget to subscribe to our mailing list to receive the latest announcements of upcoming events via email.